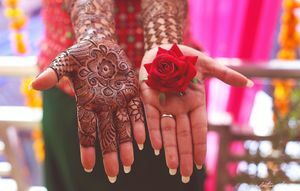 The Mehendi ceremony is a symbol of grandeur, fun and festivities, and an excuse for some major girl bonding! 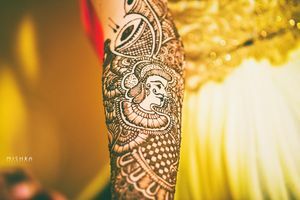 Mehendi is a function that generally happens a day or two before the wedding which means all the planning has to be done in advance. 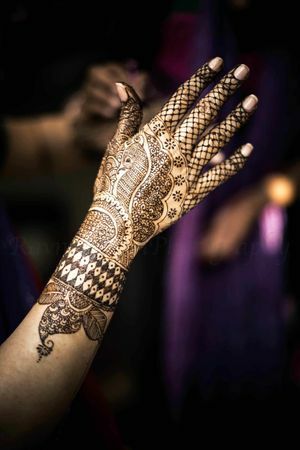 From deciding what kind of Mehandi designs you want to get done for your Mehendi to finalising the Mehendi artists for the function. 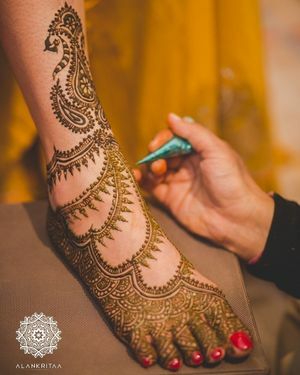 The to-do-list seems never-ending and that is where WedMeGood comes in handy and helps you with everything that you need to know about the latest trends in mehndi designs. 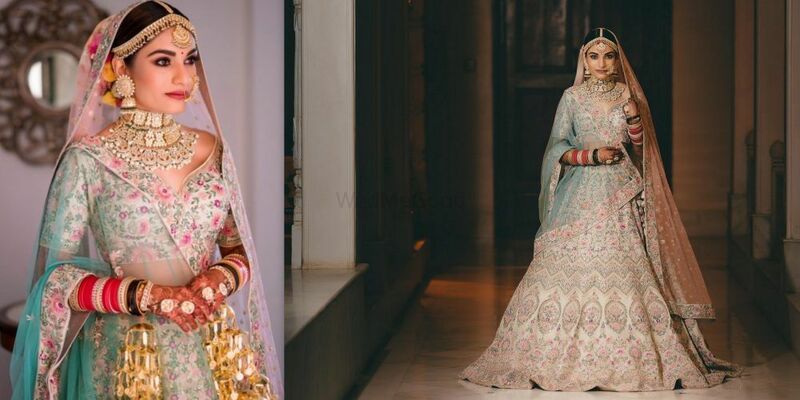 While short-listing and deciding on mehendi designs that you want to get done, you can browse from more than 400 design ideas at our gallery, curated from real brides to inspire you. We have something for everyone. 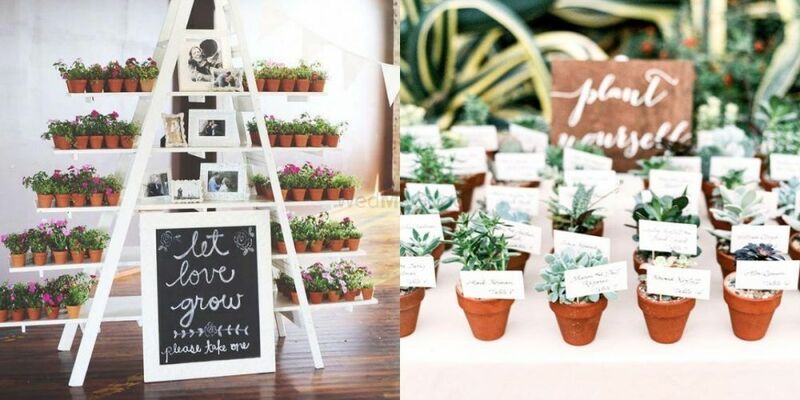 From Minimalistic to Bridal Mehendi designs, you can search from tons of ideas for your Engagement or Mehendi functions. 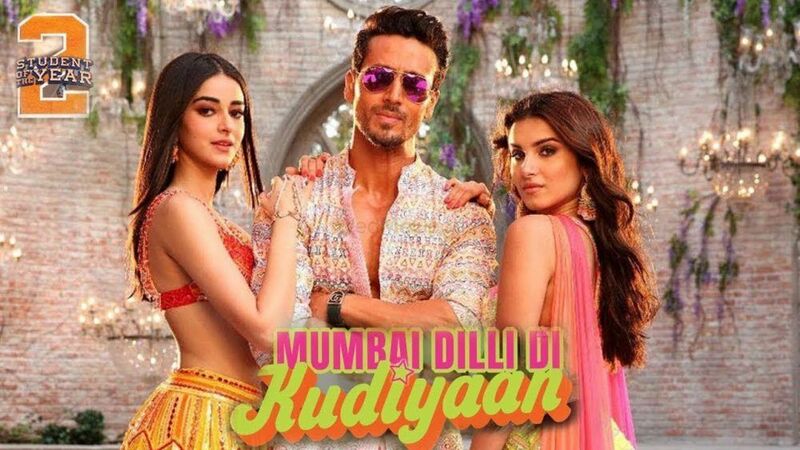 Getting a separate artist for your wedding Mehendi and a separate one for your guests. 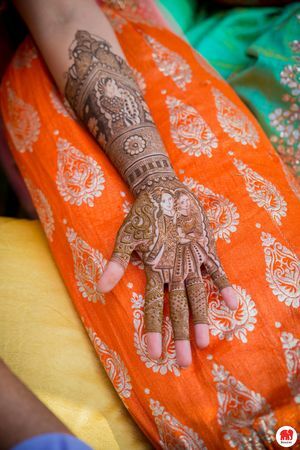 Getting the same mehandi artist for your mehandi as well as the guests. 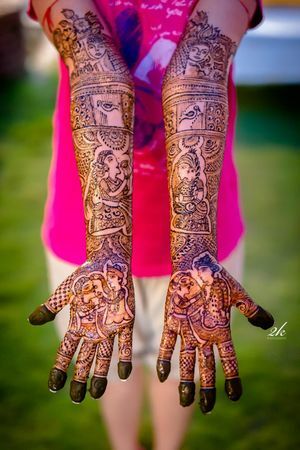 It is beneficial to get a package deal from the mehendi artist. 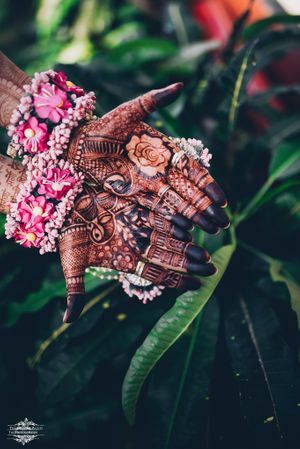 At WedMeGood, to hire a Mehendi artist, all you need to do is use the filters to filter out your search accordingly and find the best mehendi artists in your city. You can then click on the picture to open the details about them and you can get in touch with the artist directly without any hassle. 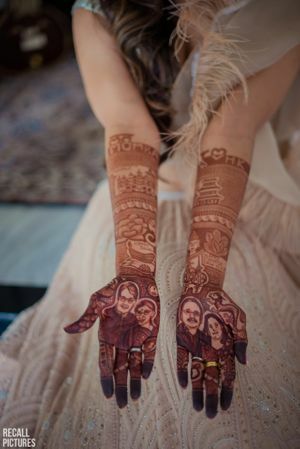 Mehendi for brides is getting more fun and unique as the brides aren’t afraid of going all out with their mehendi’s. 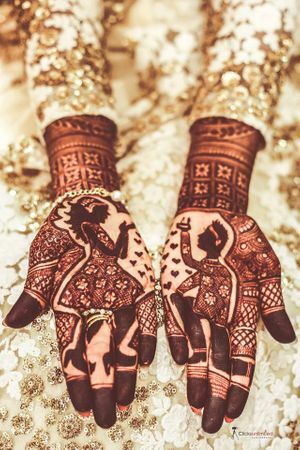 Brides these days are adding more and more personalised elements to their mehendi, whether it is their wedding hashtag or something that holds meaning for them as a couple, for example, a date when they first met or incorporating their portraits in the design. If you are a foodie, you can get a packet of French fries made or maybe pizza done in you Mehandi. There are so many cool ideas out there which are totally trending! 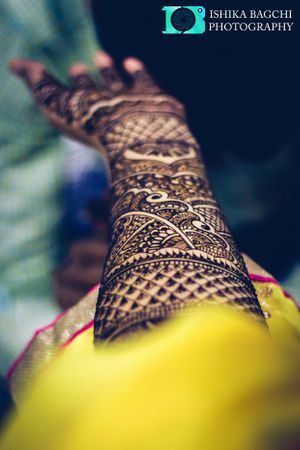 If traditional is more your style, then your bridal Mehendi has to reflect that as well. 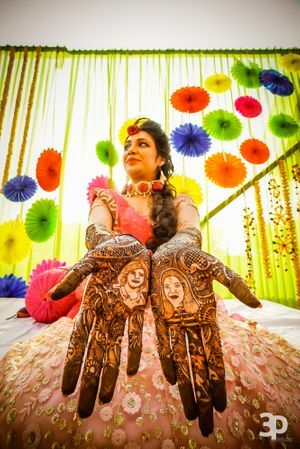 If you are going for traditional Mehendi, you can get a fuller intricate Mehendi done, with designs elements involving the bride and groom in a jharokha or dulhan sitting in a palki. Just browse through our gallery and bookmark what you like! 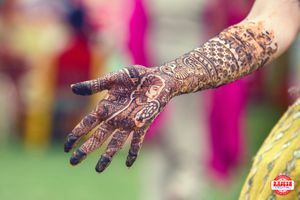 Bridal Mehendi is not your thing? Then you are not alone! 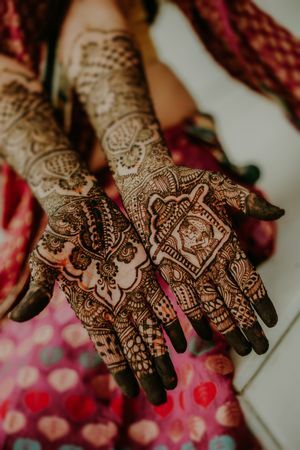 If you’re the kind that dislikes henna-laden hands, well worry not, because we have gathered some minimalist designs for you which are absolutely stunning! 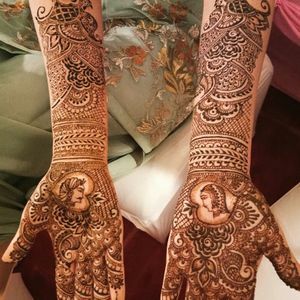 Well if you are a bride who doesn’t like the traditional mehendi or the minimalistic mehandi, you can go for Arabic mehendi. 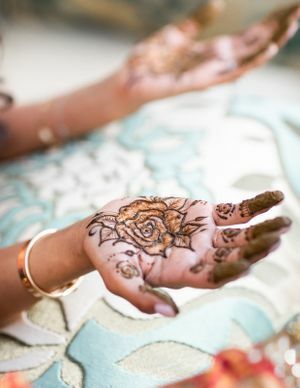 The designs in Arabic mehndi are very intricate and they involve beautiful floral details and the best part is that it does not cover a lot of skin like the traditional Indian Mehandi does. So what are you waiting for? 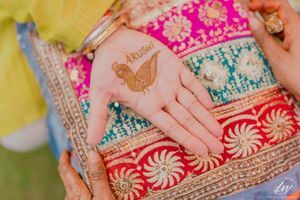 Start browsing and find some quirky and beautiful mehndi designs for yourself and your bridesmaids!